Semonin partners with HMS Home Warranty to provide comfort and peace of mind to our buyers and sellers. For more than 30 years, HMS National has been working for millions of homeowners and tens of thousands of real estate professionals to make the process of buying, owning and selling real estate safer, more enjoyable and more efficient. Homes have many moving parts and pieces which from time to time may break, stop working, or just go bad. The HMS comprehensive and trusted home warranty service agreement is designed to provide protection against the high expense to repair or replace major systems and appliances that breakdown due to normal wear and use. No one can predict when mechanical systems or appliances will fail, but you can be better prepared when they do. If you are selling your home, a HMS Home Warranty makes your property more attractive to a buyer, therefore enabling your home to sell faster and for a higher price. If you are buying a home without an existing home warranty, HMS can help give you some peace of mind when you purchase a home through our company. A HMS Home Warranty can save homeowners hundreds and sometimes thousands of dollars. 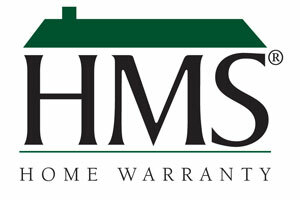 Ask a Semonin agent to show you information about a HMS Home Warranty today.